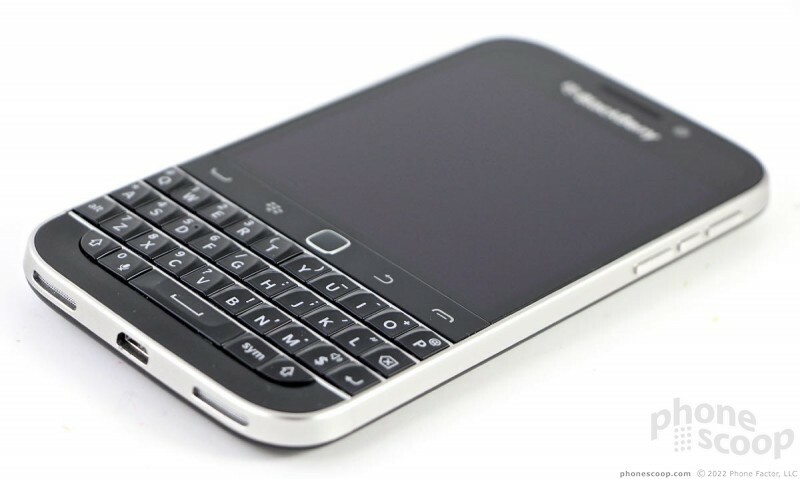 BlackBerry returns to what it knows best with the Classic: a compact handset that is best used for managing email. The Classic is a one-trick pony in a stable full of tricked out ponies. 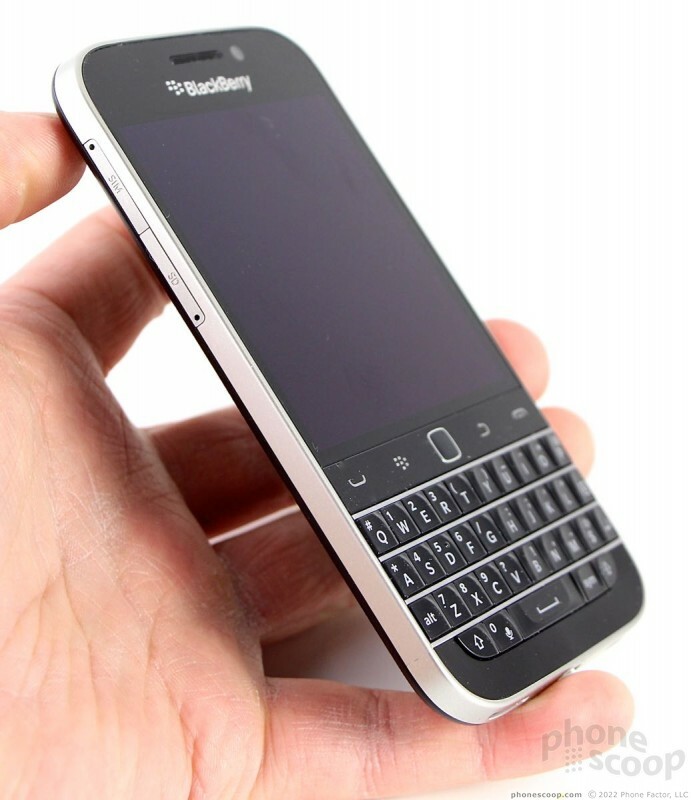 The BlackBerry Classic is a niche device for a small set of people. If you're a business pro who needs a dedicated, secure emailing machine, then the Classic is for you. If you're anyone else, there are better phones worth your money. 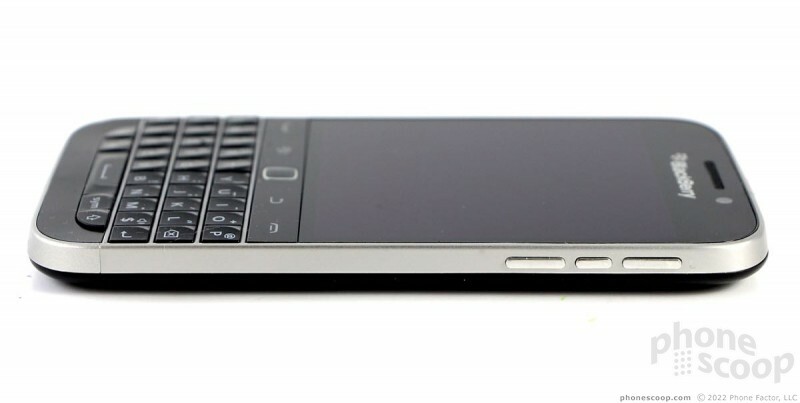 As I said in my initial hands-on piece, BlackBerry still knows how to make a quality piece of hardware. The company clearly crafted the Classic with care. The design is conservative to a fault, but that's the whole point. 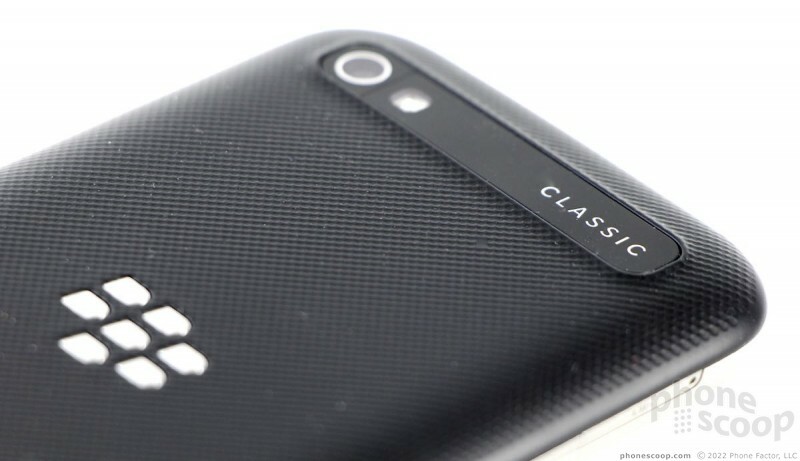 Things that have the word "Classic" in their name are hardly ever flashy or showy. 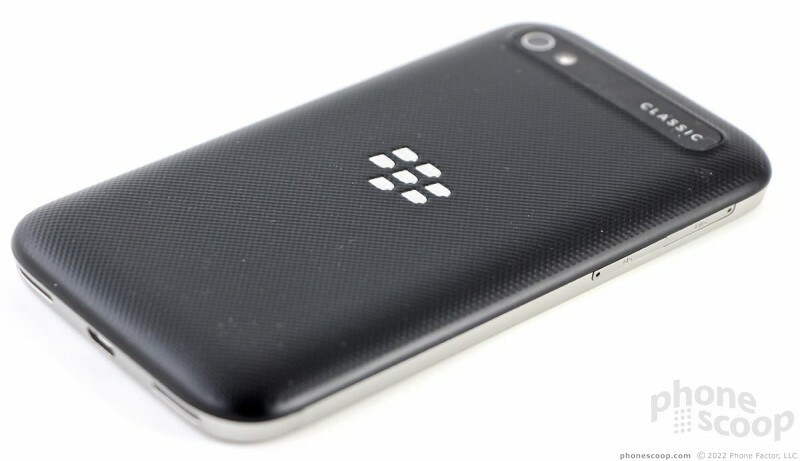 It's a staid phone that dials in the styling cues of BlackBerry's heydey perfectly. The phone comes in either black or white. Whichever shade you choose, the front and back surfaces are wrapped in a classy metal band. I like the way the metal offsets the white or black plastics. It's perfectly suited to those who wear suits and spend their days in boardrooms and corner offices. 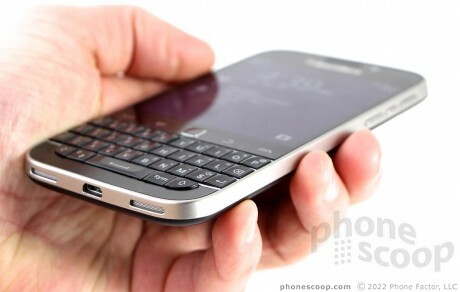 Of course, the keyboard gives it a retro look thanks to the total lack of keyboards on the bulk of today's phones. 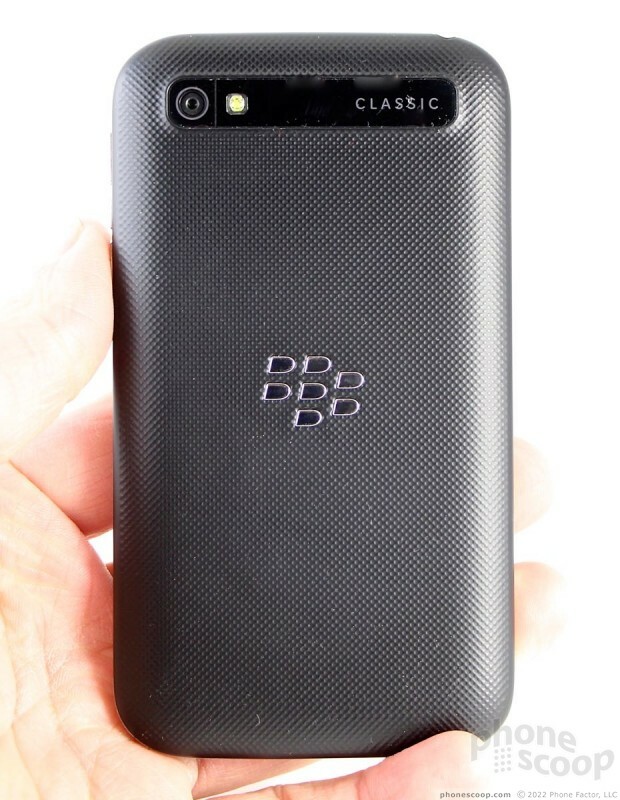 More to the point, most people who encounter the Classic will think the phone actually is from 2010. 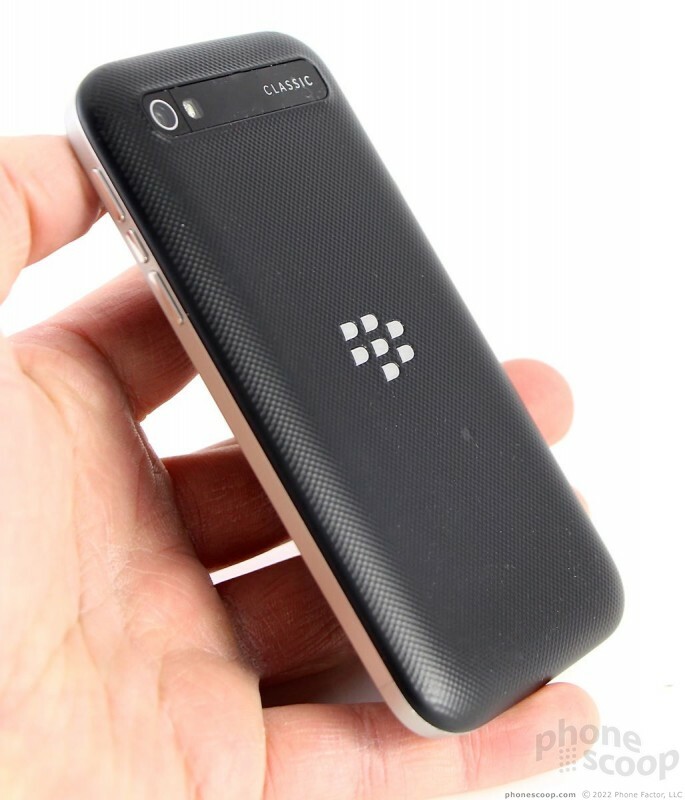 The Classic is compact, at least compared to many of today's flagship smartphones. It's close in size to the iPhone 5s or Nexus 5, for example, but looks tiny next to the iPhone 6 Plus or Nexus 6. 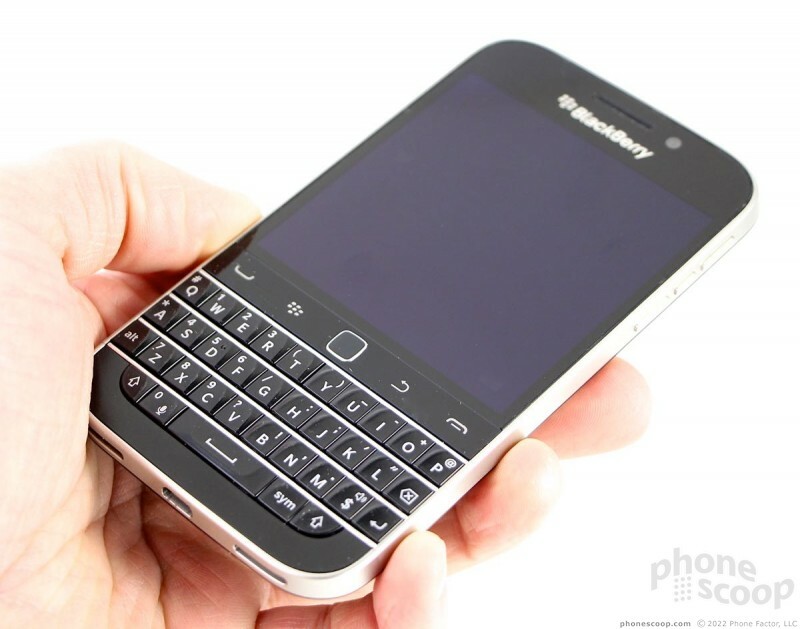 It is significantly bigger than either the BlackBerry Q10 or BlackBerry Bold 9900. I found it comfortable to use one-handed. I had no trouble reaching the entire front face of the phone with my thumb; no repositioning required. I wish the phone were a tad thinner, bit it fits into pockets quite easily compared to today's larger high-end phones. I'm pleased with the quality of the handset's materials and manufacturing. The metallic band provides a solid frame on which to hang the rest of the phone's components. The whole phone feels solid. The seams are nice and tight. BlackBerry brought back the core five-button navigation cluster that adorned its devices for years. Your thumb will be happy to relive the glory days with the dedicated send/end keys, menu/back keys, and optical trackpad, which are all placed between the display and the 35-key QWERTY keyboard. 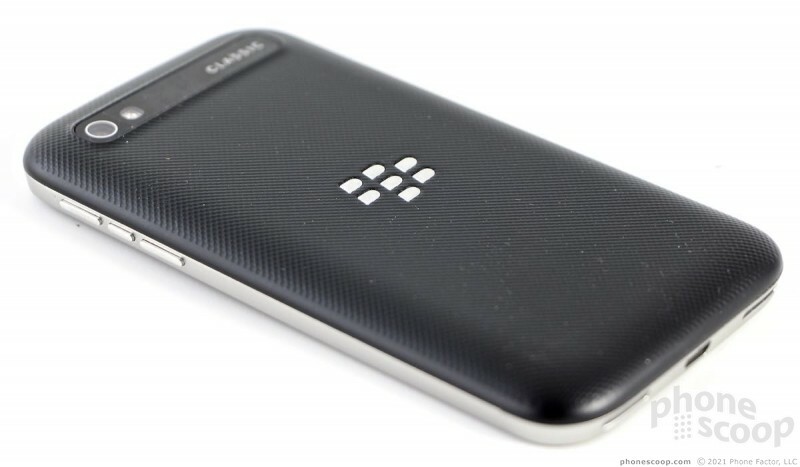 The four buttons are flat with no markings to help your thumb find them, but old-school BlackBerry users won't need to dig deep to awaken their muscle memory. The travel and feedback of these four buttons is good, but could be a little bit better. The optical trackpad is a touch too small for me; I'd prefer it to be bigger, but understand that it may be just right for others. It's best used to adjust the position of the cursor when editing text. You can adjust the trackpad's sensitivity if you wish. It works very well. Using the touchscreen itself is, otherwise, much faster for interacting with on-screen content. Both the SIM card and memory card are accessed via separate trays built into the left edge of the phone. You need a paperclip to eject them. They didn't give me any trouble. 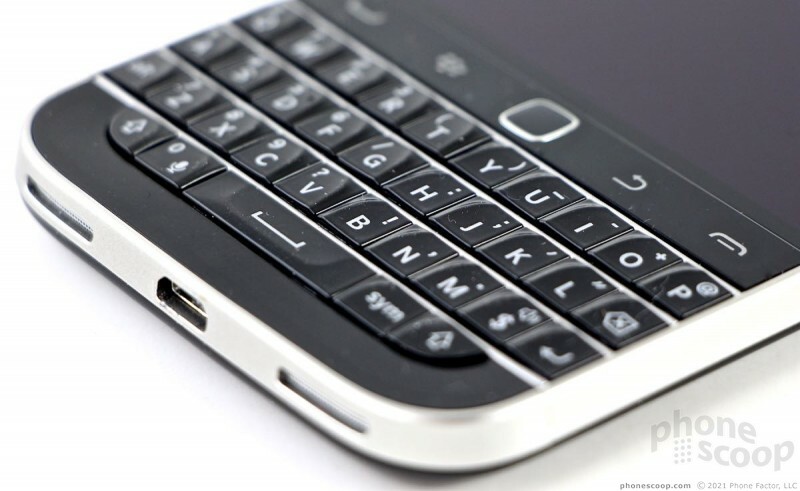 The Classic makes use of BlackBerry's standard three-key array on the right side of the phone. This includes volume buttons and a user-assignable action key in the middle. All three keys have a good profile and excellent travel and feedback. The screen lock button is on top. It, too, has a great profile and superb travel/feedback. You'll find the stereo headset jack alongside the screen lock button on top. The microUSB port is on the bottom with speakers tossed in for good measure. The rear shell has a dimpled pattern to it that I find comfortable against my skin. In a bit of a stunner, I was perplexed to discover the rear shell cannot be removed. 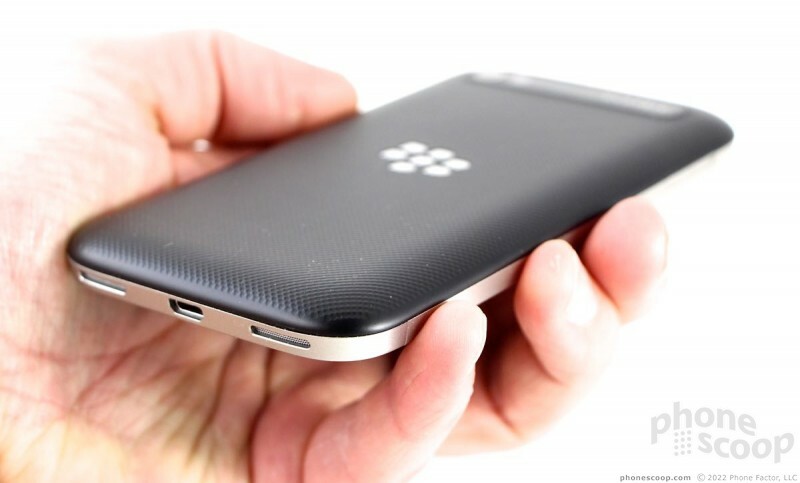 BlackBerry has long pitched the benefits of its previously interchangeable batteries. My, the times they are a-changin'. To each their own Mr Reviewer. I love my Classic already. 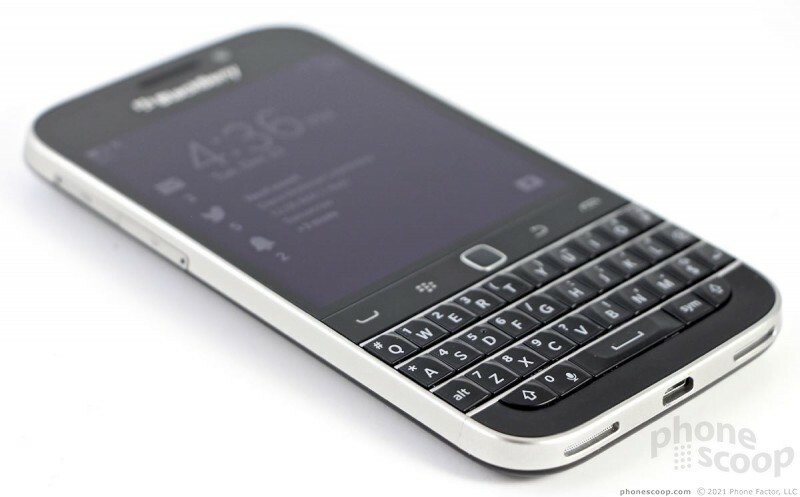 Its exactly what I needed, like an updated Bold 9900. The only thing I didn't like was being forced to give up my Blackberry email address. I have a nice Android phone for multimedia, this one is my business phone and it is a powerhouse for my uses. I'm pretty sure the point of the review was that it's a great business phone, but not the best multimedia phone, which you just said. He didn't say it was a bad phone or that you don't need it. He wasn't tearing down the exact phone you need. Somehow the review reads as many others do - with a blinkered mindset. Many reviewers now look at phones wanting them to be an all-playing, fluffy app-centric device that can only be a 'real' device if it concentrates on all the irrelevancies such as the capability to flirt using 10 different apps, put your messages in a bubblegum pink dialog box, show satellite images on a basic GPS request to get from A to B, etc. I gave this device plenty of kudos throughout the review. In fact, I was much more fair than many other reviewers were.